Though the lights may not have dimmed on your Christmas tree yet, it won’t be long before needles start falling to the floor and you begin thinking about how to dispose of the once-lush evergreen. Jill Craig, environmental compliance coordinator for Boulder City, has the perfect way: Recycle it. 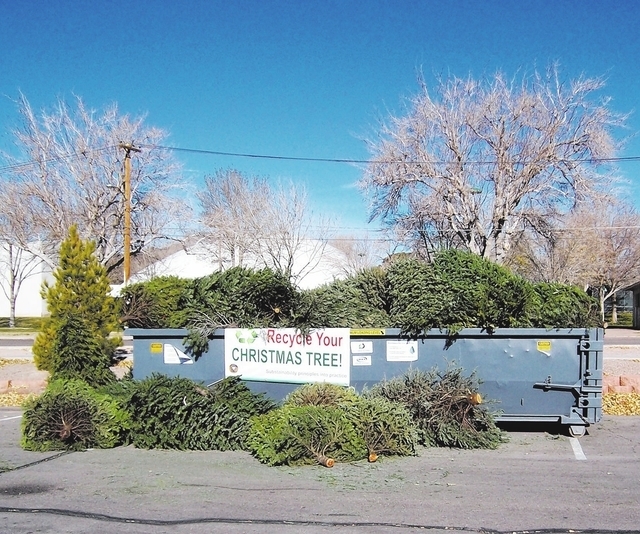 For the second year, Boulder City is asking residents to recycle their Christmas trees. “We hope to at least reach 300 trees collected, 44 more trees than were collected last year,” Craig said. The trees will be chipped and transformed into mulch that residents can get for free for their yards and gardens. Trees may be dropped off at the Bravo Ball Field parking lot at the corner of Avenue B and Sixth Street. The recycling program begins Friday and runs through Jan. 15. They must be free of all ornaments, lights, tinsel and any other nonorganic material. According to Craig, these types of objects contaminate the mulch and damage the chipper. Flocked trees cannot be recycled. 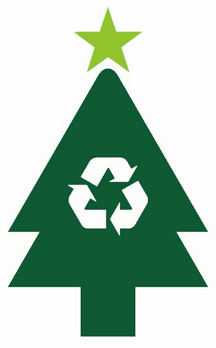 According to Craig, the main reason to recycle trees is to keep them out of the city’s landfill. Last year’s collection went very smoothly, thanks to B.C. Waste Free’s willingness to provide the collection boxes and bring them to Henderson for chipping, she said. “When I asked B.C. Waste Free if they would be willing to offer the program again this year, they did not hesitate to say yes. It is so great to have their support of this program. We truly could not do it without them,” Craig said. Additionally, the city asked Boulder City youth to help get the word out about the recycling program through a poster contest. Winners were Eliza McNally and Sophia Muelrath. They were recognized at the Dec. 9 City Council meeting and $25 was donated to Emergency Aid of Boulder City in each of their names. Eliza, who won the category for 8-11-year-olds, drew a Christmas tree surrounded by recycling arrows. Sophia, who won the category for 4-7-year-olds, created a poster with a Christmas tree in a recycling truck. Their posters can be downloaded at www.bouldercitypublicworks.org/christmas-tree-recycling. A change from last year’s program is that this year residents may pick up free mulch at Pecos Legacy Park, 150 N. Pecos Road, and Acacia Demonstration Gardens, 50 Casa Del Fuego St., both in Henderson, from 9 a.m. to 1 p.m. daily throughout the tree recycling period, Craig said. Last year, there were just a couple of days that the mulch could be picked up by residents. Those getting mulch should bring their own shovels and buckets.